American Royal Beauties is a natural scholarship pageant. We believe in empowering women so they can empower others. We emphasize the importance of community service and inner beauty - we believe that true beauty is found on the inside. We will develop young ladies into future leaders of tomorrow with good moral values, goals and community presence. We will teach them to be positive role models and to lead by example. Each contestant will have an opportunity to shine on stage. No pageant experience is required to participate. 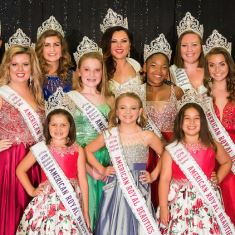 Our pageant is the perfect stepping stone to helping young ladies learn the importance of effective communication, the role of attire, invaluable life skills, and wining interview techniques. Our national community service goal is to partner with organizations that support and empower women. We will strive to serve these women and encourage our royalty to be actively involved with these organizations. Our motto, Crown to Serve, reflects this statement. Our crown stands for service and devotion to helping others. 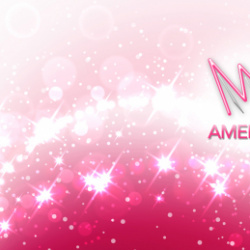 Our greatest desire is that all of our contestants and their families will have a fun and relaxing pageant weekend. We want every girl to walk away with precious memories and life-long friends.